Up to 72 equal monthly payments INTEREST FREE on qualifying products. See coupons page for more details. Replace your system, furnace, boiler, and or air conditioner. Call for more details. Interest-free financing on all service repairs. See coupons page for more details. $50 Off any emergency service. See coupons page for more details. HouseWise Energy Star smart thermostats from $39/mo. - 12 months 0% financing & $150 Utility rebate. Call for more details. Buy a new HVAC system today! Get 60 months 0% financing. Call for more details. If your equipment is close to 15 years old or older, replacement should be considered. A new comfort system is safe and reliable....at an affordable monthly payment. If this is your case, you DO have options to save with Riley. See our offers below for more details! *available for qualified customers, call for details. SERVICES PERFORMED BY RILEY CERTIFIED, GENTLEMEN SERVICE PROFESSIONALS. THOUSANDS RELY ON RILEY'S NATIONAL AWARD WINNING SERVICE DEPARTMENT - EVERYDAY! Always a Deal Going On! Mr. Jack Riley first opened the doors of Riley Heating & Cooling in 1934. Since then, we have furthered his commitment of honest and expert service in the Melrose Park area, extending coverage to Oak Park, Riverside, River Forest, La Grange Park, Forest Park & La Grange, IL. 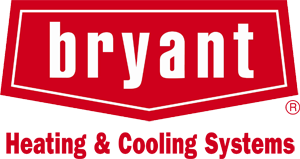 Having met exceptionally high standards for unmatched skills, products and workmanship, we have been distinguished as a Bryant Factory Authorized Dealer since 2003. 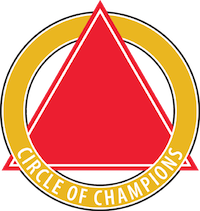 In addition, Riley Heating & Cooling has been honored being named to the Circle of Champions by Bryant Heating and Cooling Systems since 2013. We are a member of ACCA (Air Conditioning Contractors of America), which consists of over 4,000 air conditioning contractors working to improve the industry, promote integrity and maintain, safe, healthy and comfortable homes. 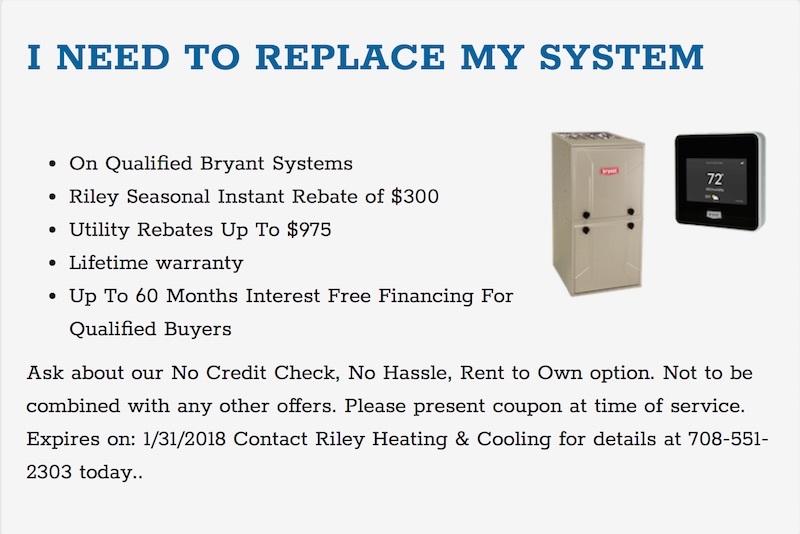 As a member of the Better Business Bureau, Riley Heating & Cooling has earned the Complaint Free Award and was awarded the prestigious Angie’s List Super Service Award. Riley Heating & Cooling has a long history in the Melrose Park area and a strong sense of responsibility to our community. We deliver trustworthy solutions to the most complex comfort issues at fair prices, and strive to give back to our friends and neighbors. Through our involvement with a goodwill campaign called “Comfort to the People,” we have helped provide more than fifty local families who are in need with free furnaces installed in their home. Riley Heating & Cooling is a full-service HVAC provider. Our NATE-certified technicians specialize in reliable installation, maintenance and repair of heating, cooling and air cleaning systems. As a member of the Comfort24-7 Network, we guarantee everything we do prior, during and after any sale or service. 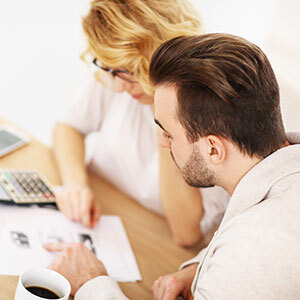 Our team of comfort specialists is background checked, drug screened, factory trained and committed to customer satisfaction, ensuring you the best investment of your HVAC dollar. For all of your home comfort needs, call Riley Heating & Cooling and speak to a friendly member of our team. A correctly working HVAC system keeps you warm in winter and cool in summer, with good airflow and proper humidity levels. For that to happen, the entire system has to be well designed, made up of quality products and professionally installed by knowledgeable HVAC service professionals. Riley Heating & Cooling has been providing HVAC repair, installation and maintenance services in neighborhoods near the west suburbs of Chicago: Berkeley, Elmhurst, Elmwood Park, Forest Park, Hillside, Hinsdale, La Grange, La Grange Park, Oak Brook, Oak Brook Terrace, Oak Park, Park Ridge, Riverside, River Forest, Westchester, and Western Springs since 1934. 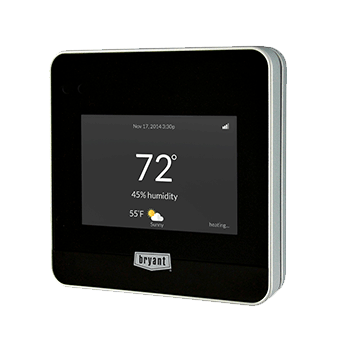 As a factory-authorized Bryant service provider, we have access to great HVAC products at great prices, and we stand behind all of our residential work with a two-year satisfaction guarantee. Emergency HVAC repair is available. We employ highly qualified, professionally certified service professionals. Riley is a fully licensed, insured and bonded HVAC service professional with Better Business Bureau accreditation. 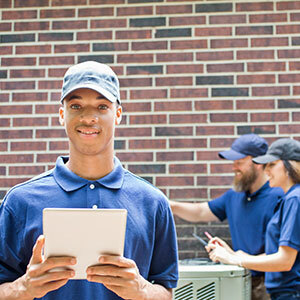 HVAC maintenance agreements help you budget for service and repairs. It takes a lot of knowledge and experience to correctly design and install an HVAC system. One of the most important elements is the size of the equipment. Units that are too big or too small for the space lead to ongoing problems with humidity, wear and tear, and energy efficiency. Whether your project is new construction or a replacement system, our NATE-certified HVAC service professionals will make sure that you get the right product for your needs. With eight decades in business, independently owned Riley Heating & Cooling has seen it all and repaired it all. We’re proud to be one of Chicago’s top-rated HVAC service professionals, and our complaint-free history with the Better Business Bureau is proof of our dedication to excellence. Contact us today to find out how our professional service professionals can help you with your HVAC repair or installation project. We want you to rely on Riley.